The Life in Japan....Why so formal..Why so obedient...Why so desciplined... People are so kind and have high moral...Are these true...Let's analyze this by browsing thru my life in Japan. This is to realize thing as they are.... Here... The legend continues... It is for me to tell..and for you to understand it through your imagination. OOOOOHHHHH What a philosophy...SCRAP THIS THING AND ENJOY TRAVELLING WITH ME!!!! 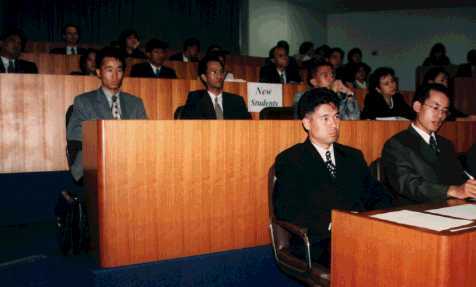 This picture were taken at the Saitama University during the welcome ceremony.... It was on Oct. 2, 1997. Nagano Winter Olympic 98.: See me in the Bob's Leigh event! Explore more Japan with my family!!! : A Star is Born!!!! let's travel the world! : have you bought the JAL ticket? Join my Field trip in Japan. : two credit hours!